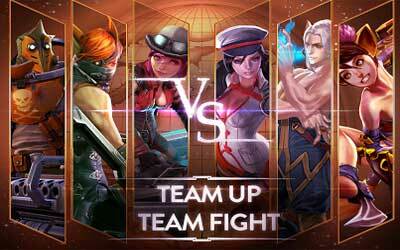 This is old version Vainglory 1.20.0 apk for Android, you can install it if you want to downgrade or install old app. It is top Strategy apps from Super Evil Megacorp. The game that will make you enter a new world here can be a recommended game since it can give you the great experience in creating the strategy and controlling the other heroes to combat the enemies. Here, you need a great strategy to defend the base and at the same time, you need to destroy the enemies you have. Taking place in various places such as in the roads and in the forests, the combat will be more unforgettable one. In addition, this game is not only played by your ownself, yet you can fight with the other players. Here, you can have more challenge since you need to great strategy in losing the other players in this Vainglory for Android game. Also, the great graphics of this game will be the other interesting point.